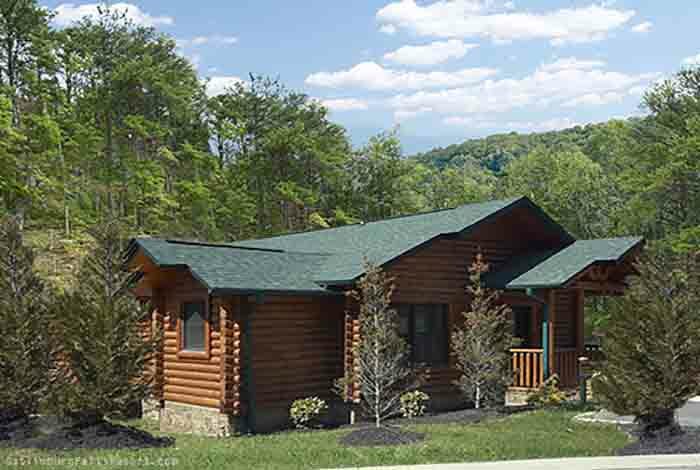 Absolute Adventure is ideally located on the Gatlinburg Falls Resort, only 5 minutes from downtown Gatlinburg and less than 10 minutes from Pigeon Forge and Dollywood! 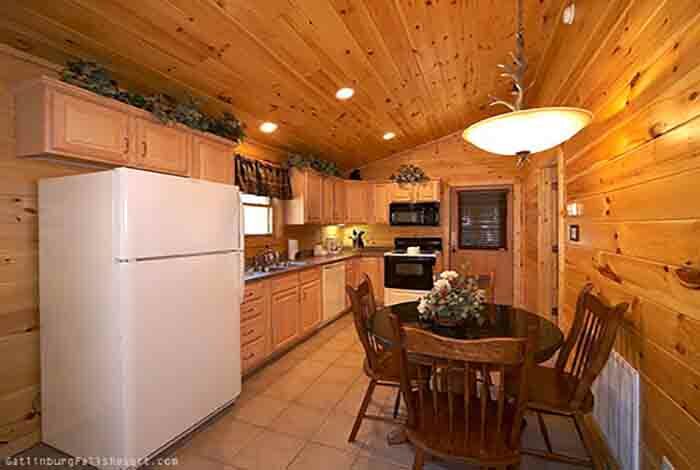 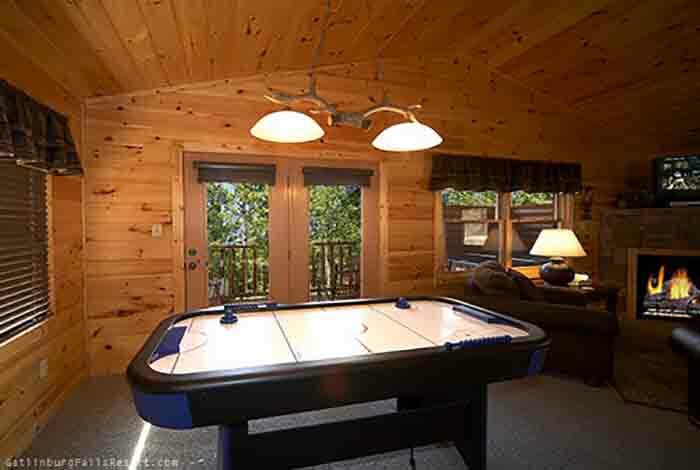 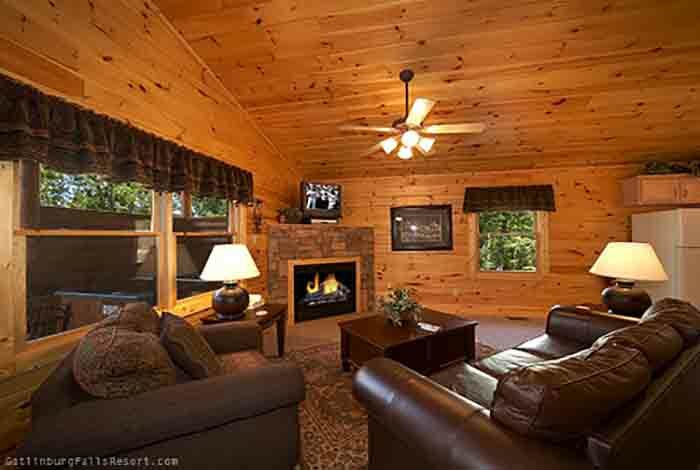 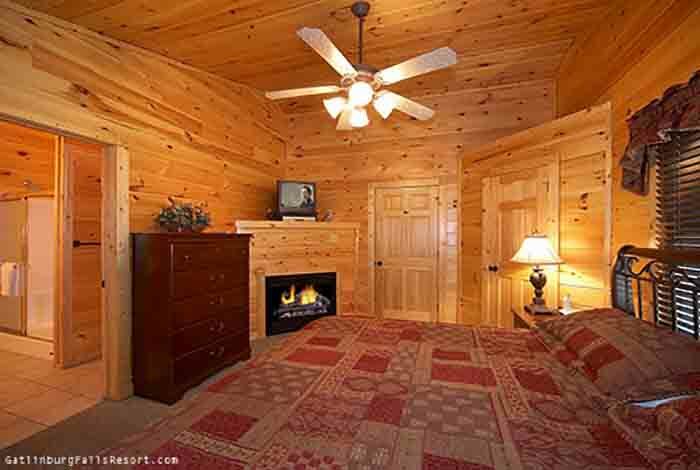 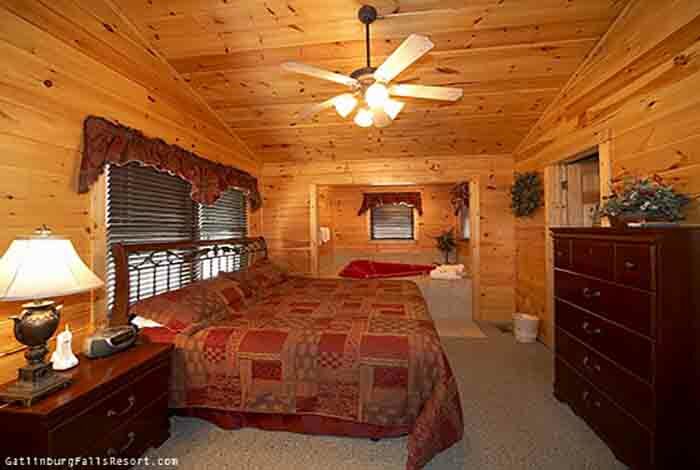 It's the perfect Gatlinburg cabin for your romantic adventure to the Great Smoky Mountains. 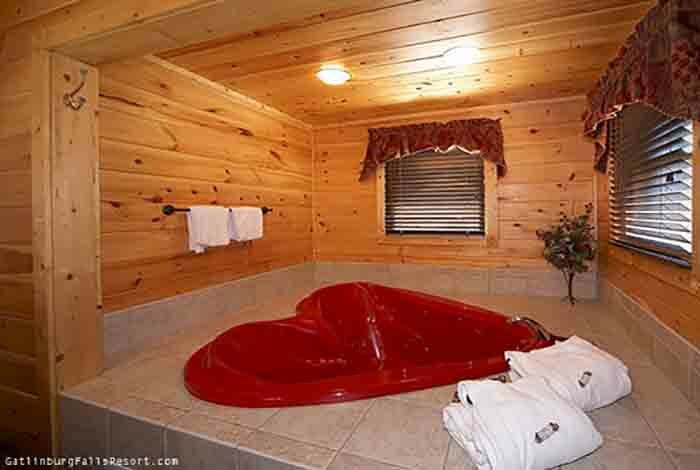 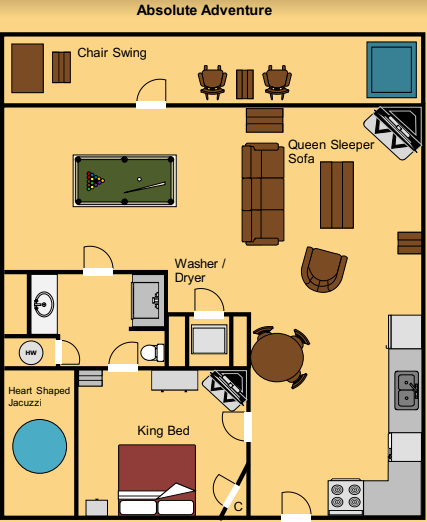 Across from the resort swimming pool, the luxurious cabin offers all you need to relax including a heart-shaped jacuzzi tub, pool table, and double shower with a jetted, vertical spa. 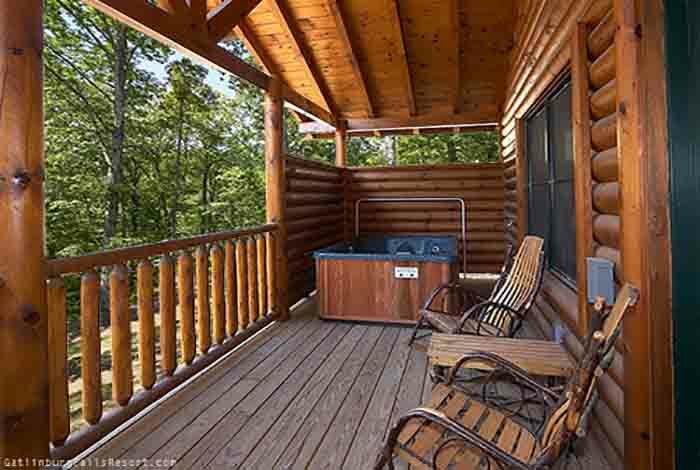 Add a dozen roses to put the ultimate touch on your weekend for two to Gatlinburg. 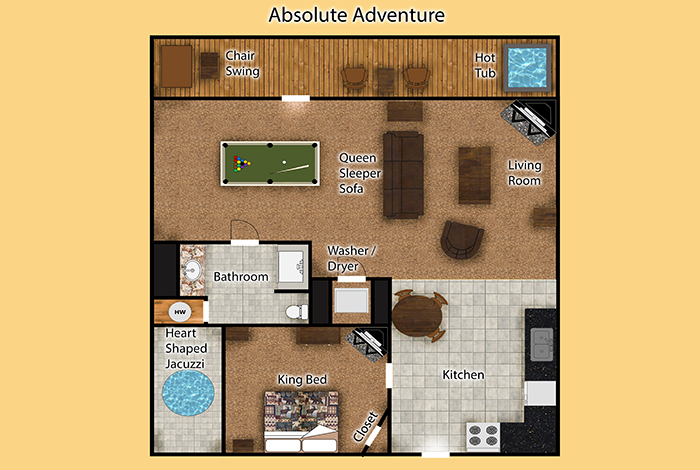 Absolute Adventure...where you get it all but never get enough.